Hight season (Nov 15-May 15) Mon-Sat 8:00am-5:30pm, Sun and bank holidays 8:00am-1:00pm. Low season Mon-Sat 8:00am-4:30pm, Sun and bank holidays: 8:00am-1:00pm. 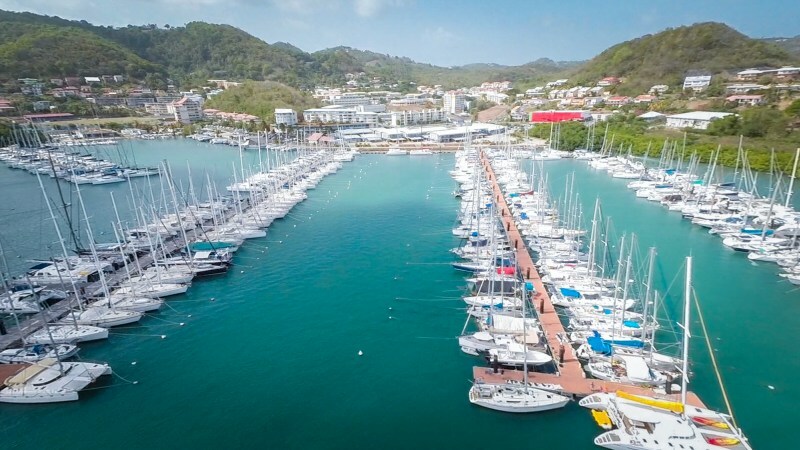 - Boat capabilities: 830 berths including12 specific berths for superyachts up to 50m in length - 100 moorings for 6 to 50 meter yachts, 2 to 4.5 meters draft. Electricity 110V-220V-380V. Power supply: 16 to 125 Amp - 50 Hertz. - Customs (Clearance) service available at the Dockmaster's Office (5€). - Business Center: wifi, fax, photocopies or scan, courier services, marine weather updates as from 8am. - Restrooms and showers by electric key card available at the Dockmaster's Office. - Used oil and battery disposal. - Fuel and ice at the fuel dock (open daily 7:30am-5:30pm). - Restaurants, cafés, grocery, numerous shops, marine related businesses. - Guarded by professional security firm from 6:00pm-6:00am. 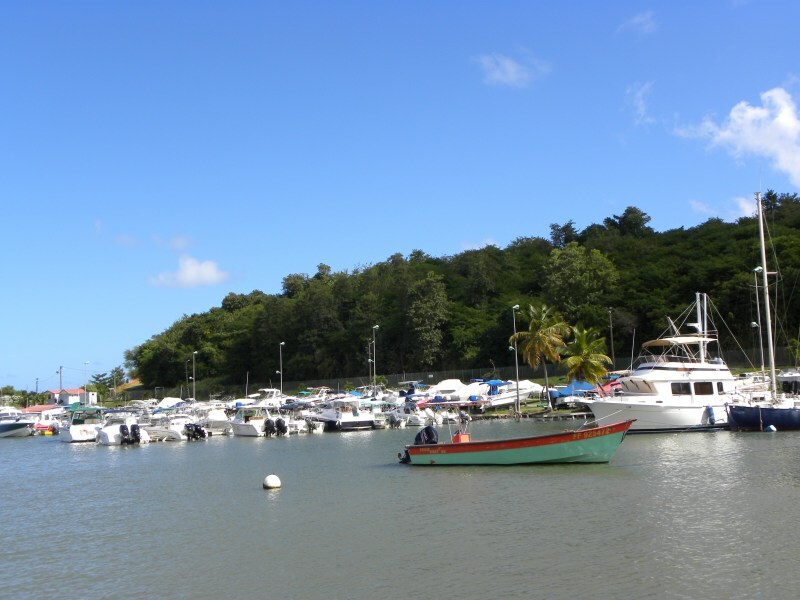 - October 2018: International Bill Fish Tournament - 28th edition. 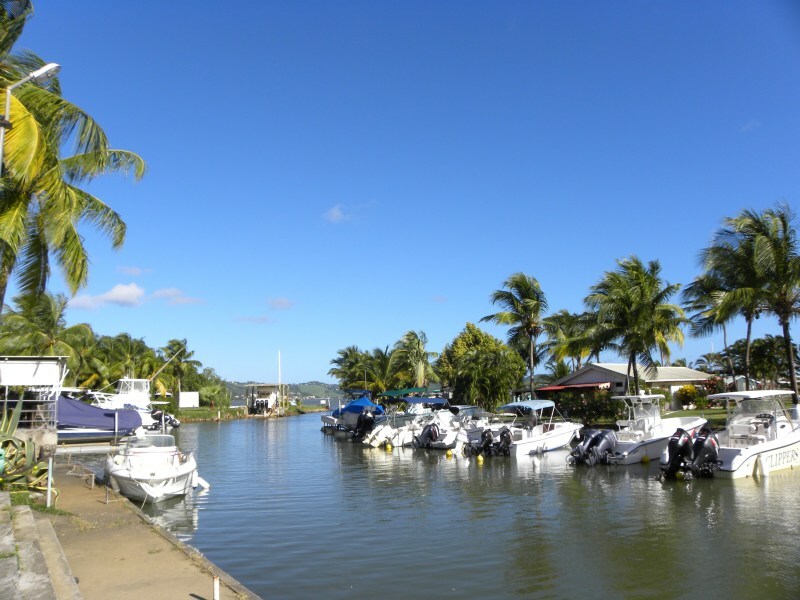 - The town of Le Marin has received The Station Nautique « label » which reveals numerous advantages of Le Marin as far as water activities and facilities are concerned: high-quality equipment, certified instructors in addition to environmental education and information. - Le Marin takes part in the EU-funded Odyssea project. High season (Nov 15-May 15): Mon-Sat 8:30am-5:30pm, Sun and bank holidays 9:00am-12:00pm. Low season: Mon-Sat 8:30am-12:30pm/2:30pm-5:30pm, Sun and bank holidays 9:00am-11:30am. - Boat capabilities: 107 slips including 10 transient slips for visting yachts up to 16 meters (not in hurricane season). - Electricity: 220V - Ampere 10. 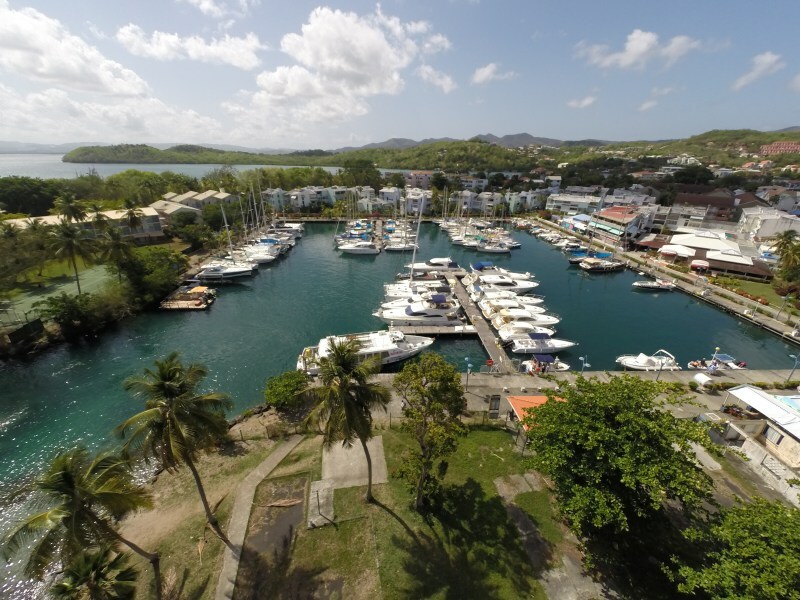 - Facilities: Marine weather updates, courier services, phone cards, wireless internet access, ice, fax, e-mail, photocopies at the marina office. Marina security 10:00pm to 5:30am. Restrooms and showers. Used oil and battery disposal. The marina area also includes a number of cafés, restaurants, boutiques, an ATM and car rental companies. The Village Créole entertainment area, a casino and a golf are all located nearby. Shuttles to FDF. - Office hours: Mon-Fri 7am-5pm, Sat 7am-2pm (except on bank holidays). A permanence is maintained on Saturday afternoon, Sunday and bank holidays. - Boat capabilities: 340 slips, 3 to 4 meters draft. Dry storage (150 slips). - Facilities: Harbour office Clearance, Restrooms and showers by electric key cards (disabled access). Weather update. Tourist information. Laundry. Fuel, oil, water and ice services. Water/Electricity 220V-380V - Ampere 16-32. Provisioning. Bins for sorting. Secured and monitored area. Eco-friendly marina. - Marina Office hours: Mon-Fri 8:00am-12:00pm/2:00pm-5:00pm, Sat, Sun and bank holidays 9:00am-1:00pm. - Boat capabilities: 150 dry storage slips of which 30 are covered. 30 dock slips, 5 slips for transient boats up to 40 feet and 1.5m feet draft. Electricity 220V. 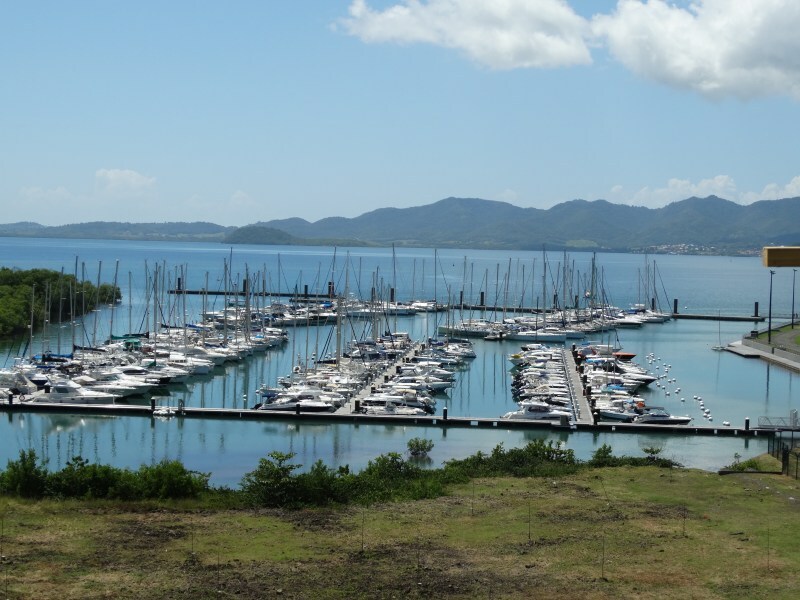 - Facilities: Fuel, haul-out, repair and renovation services and waterfront La Voile restaurant-bar lounge. - Office hours: Mon-Fri 7:30am-12:00pm/1:00pm-5:00pm, Sat and Sun 7:00am-12:00pm. - Boat capabilities: 150 dry storage slips, 40 dock slips, 2 to 5 m draft. - Facilities at the Fishing harbour (near the marina): fishing gear retailer, fuel, ice.